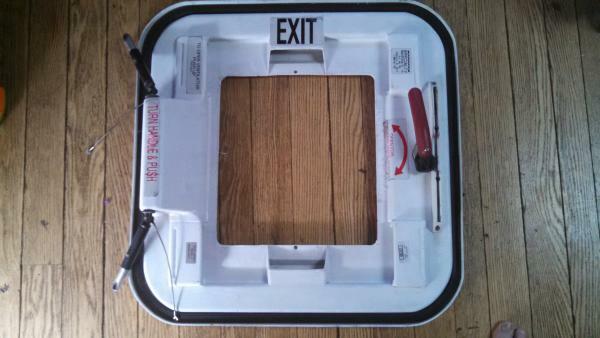 Does anybody have any recommendations for what brand of skylights to use to replace the current emergency hatches? Also what brand exhaust fans have you guys seen work best? I'm at the point where I'm ready to paint my roof and figured I'd do all the roof stuff at once. ANY advice wold be appreciated. E-hatches are 23.5" square. RV hatches are considerably smaller. As for exhaust fans, try a radiator fan with shroud. 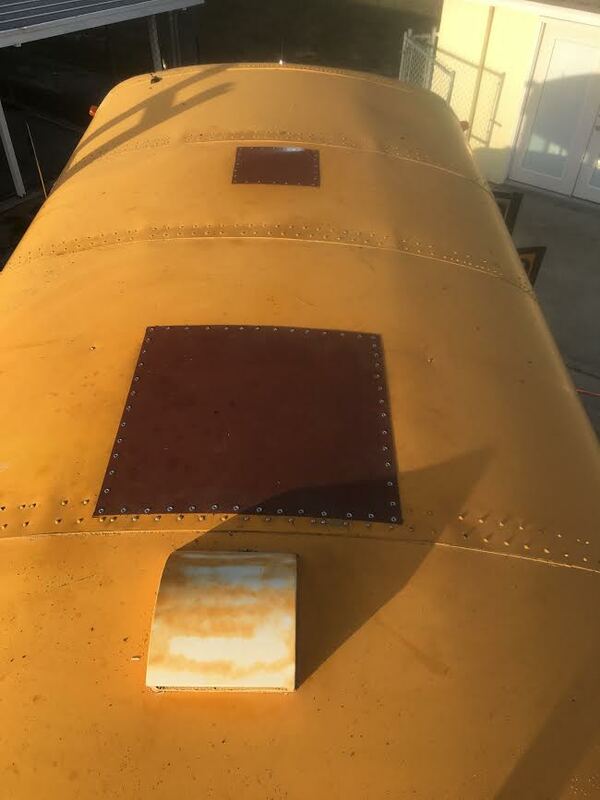 The standard vent for an RV is 14" - I have seen some remove the emergency hatch - I went a slightly different route - and just replaced the hatch with a piece of wood and a exhaust fan. It seems to be doing the trick - may need to rethink it later down the road - but works well now. That's a good idea thanks for the pictures dog rescuer . I like the e escape, may be extend the lip around a little to prevent rain from coming in when it is venting. here is the one i made in Elfie. 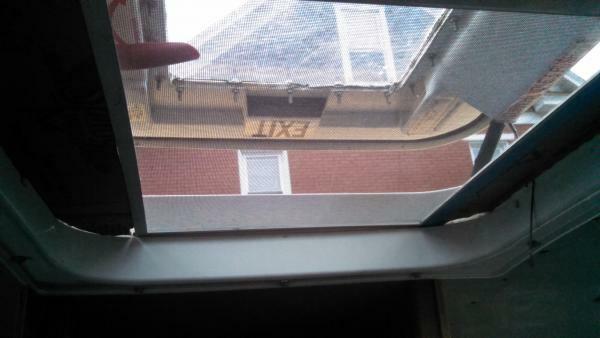 I paneled over the chintzy roof hatch on my shorty. Will be installing a Fantastic vent. Just put one in my work van and I LOVE it. Easy to install and really does a great job. 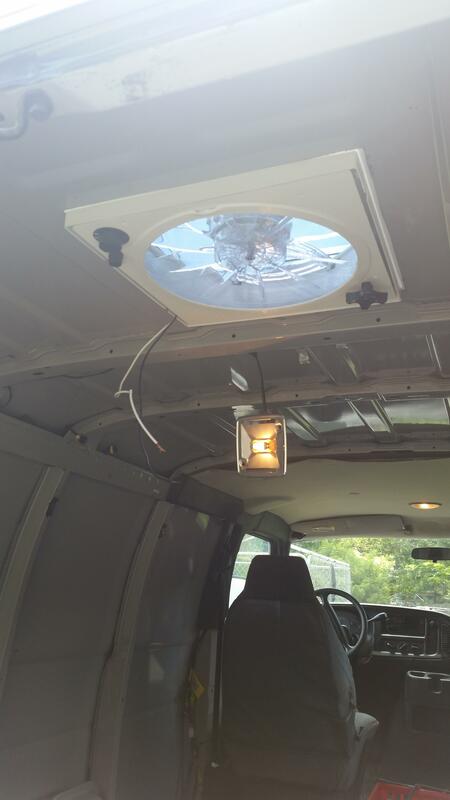 I'm thinking of converting my rear roof hatch / emergency roof exit into a simple skylight, using a marine skylight on top of the existing Transpec surround that's attached to the roof. I would like to be able to see the stars when lying in bed! I haven't found a 24" square marine skylight yet, but I haven't been looking too hard now - there's a marine salvage place near here that may be worth a visit. I just did exactly this today! Man, its great isn't it?